Tracking USA immigration news including H1B, H4 EAD, Green Card priority dates. 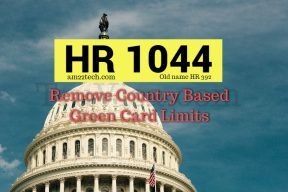 HR 1044 is modified version of HR 392 to remove green card country limits. Will benefit Indian and Chinese H1B workers. Apporved I-140 will get GC first. 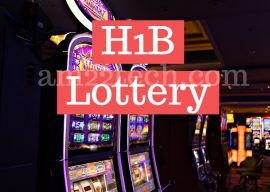 H1B lottery system change in April 2019. Electronic filing, selection. US masters degree holder more chance of selection over Indian or Chinese degree. 60 day to submit. 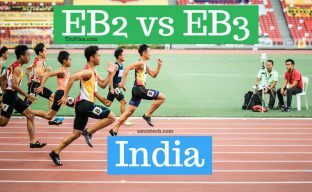 Indian EB2 vs EB3 green card priority date movement. EB3 final action ahead of EB2 USCIS visa bullettin. File i485, EB2 to EB3 downgrade with approved i140. 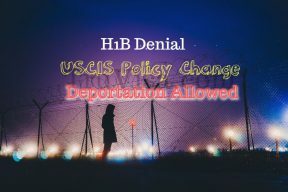 USCIS NTA policy change starting Oct 1, 2018 for i485 & i539 applications. H1B out of scope of NTA at this time. Adequate notice period before NTA is issued. 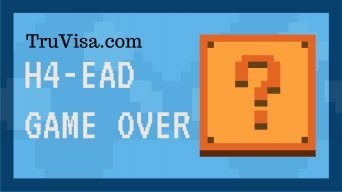 H4 EAD news update today- DHS submitted Rules to OMB for removing work authorization. ImmigrationVoice presented facts about EAD not replacing American jobs. H1B premium processing OPEN for all Transfer, Amendment, extension applications at Vermont, California, Nebraska service centers. Open for 2019 Cap petitions.